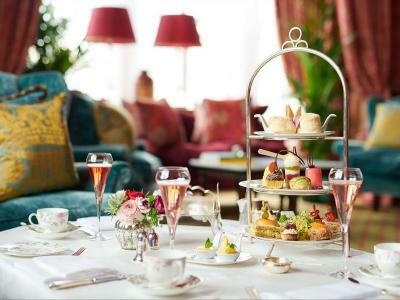 Enjoy an afternoon tea with loved ones in the decadent surroundings of Dromoland Castle. This is a gift that everyone will appreciate! 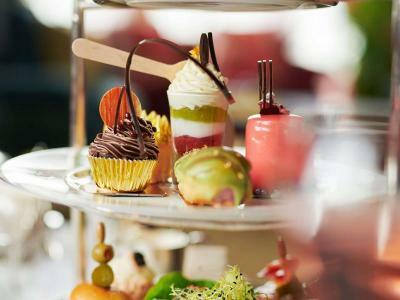 Afternoon Tea is another long-standing tradition at the Dromoland Castle, one of the finest luxury hotels in Ireland. Enjoy our renowned Mrs. Whites Afternoon Tea for Two. This includes a choice of delicious finger sandwiches, freshly baked scones and French pastries, all accompanied by your choice of tea or freshly ground coffee. .
For special occasions enjoy our renowned Afternoon Tea for Two including a chilled glass of Champagne. 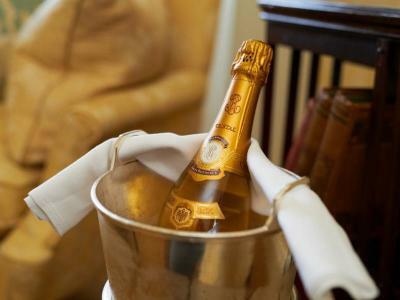 This is served in the stunning surrounds of The Gallery or Cocktail Bar. This also includes a choice of delicious finger sandwiches, freshly baked scones and French pastries, all accompanied by your choice of tea or freshly ground coffee whilst enjoying a glass of Champagne to enhance the experience of Mrs. Whites Afternoon Tea.